forecast accuracy and probability intelligence. Leveraging the sales closure (winning) probability uniquely predicted for each individual deal based on various engagement factors and closure time prediction, Kreato suggests the exact probability of the sales forecast that has been arrived. 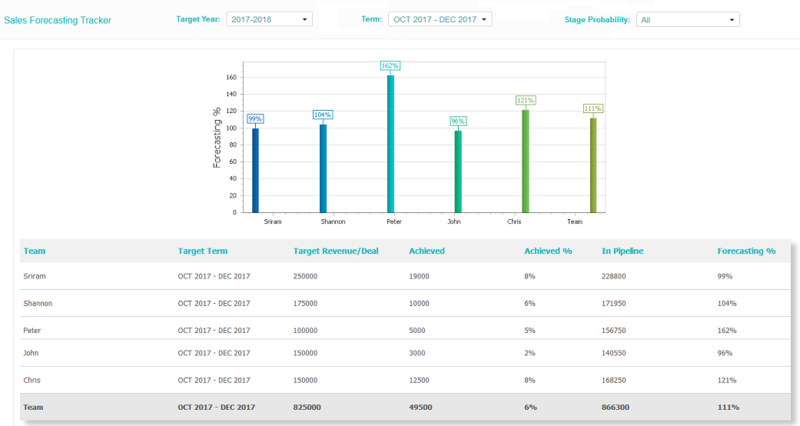 This helps the sales manager to cautiously identify in advance the extra efforts & resources that needed to be allotted to hit the expected number. Leveraging the sales closure (winning) probability uniquely predicted for each individual deal based on various engagement factors and closure time prediction, Kreato suggests the exact probability of the target quota that every sales rep will achieve in the current quarter. This helps the sales manager to identify the sales rep who may need extra pipeline allocation to hit their number.